Oh the dreaded second book! 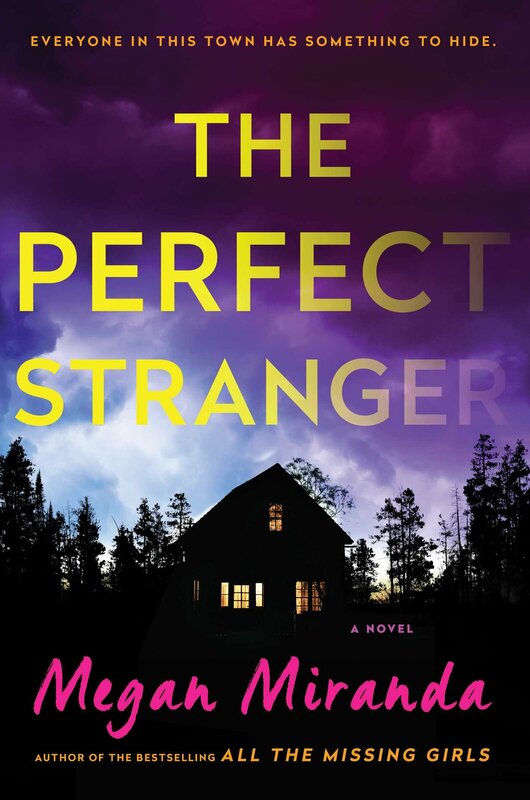 I know Miranda has written more than 2 books, but this is her second adult mystery novel, and while it wasn’t perfect (pun intended) it wasn’t bad and I think some people are giving this a bit of a harsh time! I can understand where people are coming from, in terms of not connecting with the characters. I wasn’t particularly a fan of Leah myself, but I had enough empathy towards her to be interested in her story. Kyle, I had mixed feelings about, I didn’t like the romance element that Miranda fit in with him and Leah and I thought he was trying to play-it-cool too much while still being really clingy. I’ve seen some people complain about the motives behind Leah’s move and “new life”, saying it was lack lustre and unworthy of all the dramatics, but I thought it was a pretty good, and quite unique, twist to the story and helped explain Leah’s reservedness well. As for the main twist – what happened to Emmy? – I half saw it coming and half didn’t. There was certainly an element of surprise there for me so I was happy with the way the plot went, for the most part. In fact, I was more surprised by this novel than I was with All the Missing Girls, which I guessed the ending of, part way through. At times, I found my thoughts getting a little bit muddled with all the names and how everyone fit in, but when it’s all “resolved” at the end, things became clearer. The writing in this is, as always, superbly atmospheric and descriptive. Miranda certainly knows how to write! Overall, I actually really enjoyed this book, reading it and finishing it in the early hours of the morning. I will definitely keep my eyes open for more of Miranda’s work, clearly, she is a woman of many genres! Thanks to Netgalley and Simon & Schuster for giving me the opportunity to read this in exchange for an honest review. Previous postWe have a (giveaway) winner! I actually enjoyed this one more than The Missing Girls. I too knew what was coming about halfway in on that one. I include this one in my April Wrap Up Video. I don’t get the negativity some people have about this one though – I enjoyed it and look forward to more by her. Same here. I feel people were a little harsh on their reviews on this one! I actually haven’t heard of this author. Your review of the book makes me think that All the Missing Girls might be a good place to start. The blurb sounds good, though. This sounds really interesting, I think I’ll add it to my TBR list. The plot sounds intriguing but I’m sorry it didn’t leave up to its potential. It could have been so much better, had it not been for the annoying characters!